SSL Certificate for client area has been renewed today. Customers can view service details, order new service and pay fee in client area. PremiumReseller Team wishes you and your family a Happy Holiday Season and a Prosperous New Year. In 2014 we have expanded with new data center partners in London and Singapore. Our servers infrastructure was successfully upgraded to latest Hyper-V 2012 and SSD drives to provide the best performance possible. 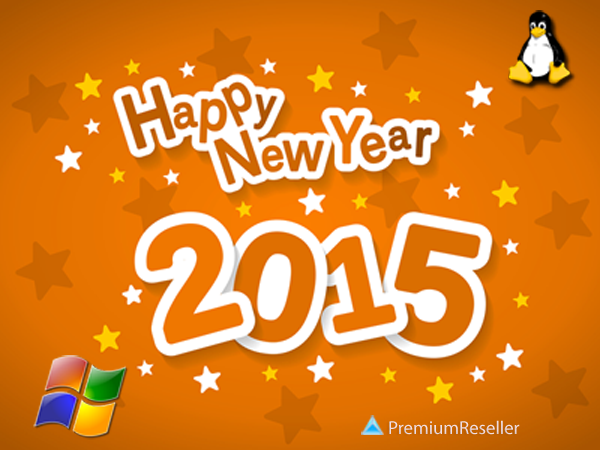 We would like to thank you for using our service and look forward to your continued support in the New Year 2015. We have emergency maintenance on SV8 because of hard disk failure. Entire /home partition suddenly becomes unreadable. We try to run disk check but there are too many errors that it is not possible to fix. The hard disk turns to read only mode shortly after restarting the server. As a result we have to transfer all websites to a different server. Transfer process takes longer time than usual because of slow disk IO on the failing HDD. Transfer is 90% completed and should be finished at 06/03/2014 4AM EST. If your websites are hosted on server SV8 and use default nameservers ns1.premiumdns.net ns2.premiumdns.net, you do not need to do anything. Please open support ticket if you have any questions or concerns. Thank you. New server node is deployed at London data center for Hyper-V VPS hosting service. Check out disk IO write speed ~ 800MB/s.